We have colocalized elastin and fibrillin-1 with perlecan in extracellular matrix of tensional and weight-bearing connective tissues. Elastin and fibrillin-1 were identified as prominent components of paraspinal blood vessels, and posterior longitudinal ligament in the human fetal spine and outer annulus fibrosus of the fetal intervertebral disc. We also colocalized perlecan with a synovial elastic basal lamina, where the attached synovial cells were observed to produce perlecan. Elastin, fibrillin-1 and perlecan were co-localized in the intima and media of small blood vessels in the synovium and in human fetal paraspinal blood vessels. Elastic fibers were observed at the insertion point of the anterior cruciate ligament to bone in the ovine stifle joint where they colocalized with perlecan. Elastin has not previously been reported to be spatially associated with perlecan in these tissues. Interactions between the tropoelastin and perlecan heparan sulfate chains were demonstrated using quartz crystal microbalance with dissipation solid phase binding studies. Electrostatic interactions through the heparan sulfate chains of perlecan and core protein mediated the interactions with tropoelastin, and were both important in the coacervation of tropoelastin and deposition of elastin onto perlecan immobilized on the chip surface. 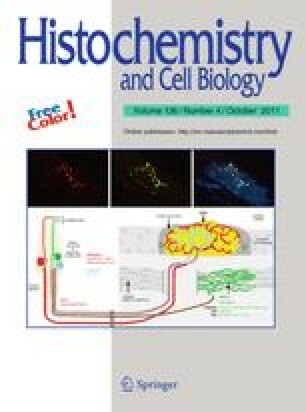 This may help us to understand the interactions which are expected to occur in vivo between the tropoelastin and perlecan to facilitate the deposition of elastin and formation of elastic microfibrils in situ and would be consistent with the observed distributions of these components in a number of connective tissues. This study was funded by NHMRC Project Grant 512167 to JM and JW, Grant support was also received by ASW from the Australian Research Council and the National Health and Medical Research Council.